Yesterday, Drake announced his that latest album (mixtape? does it matter?) 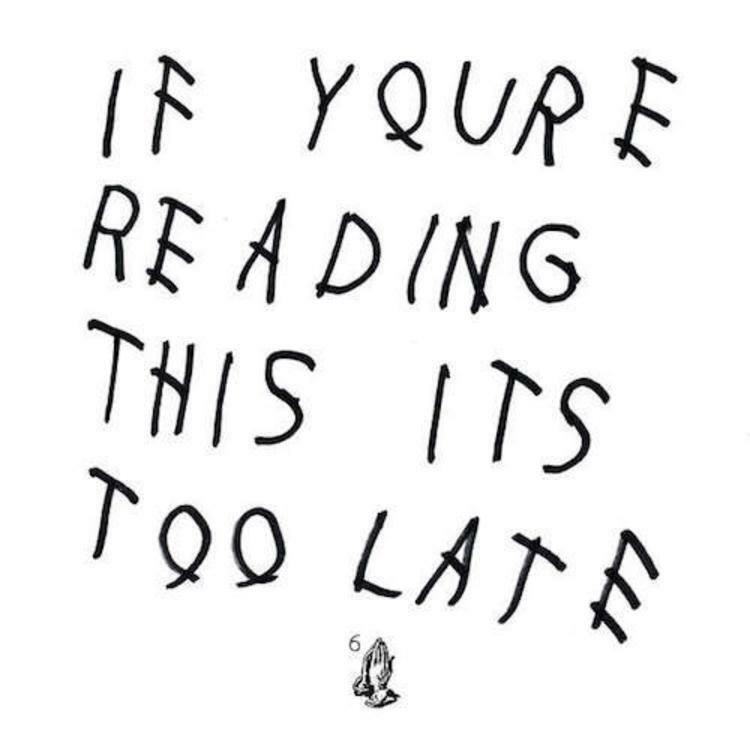 If You're Reading This It's Too Late will be available in physical format on April 21. Luckily, the CD won't be an exact replica of what we've already heard, and Drizzy's also included two bonus cuts for our listening pleasure. The CD edition will feature "How About Now", which we first heard last October, and a brand new cut, "My Side". If you've been missing the more sentimental Drizzy, "My Side" is for you. Our favorite lonely, overworked superstar sings to an unknown woman who, right now, is too far away for a possible relationship. Of course, Drizzy's "lost up in the 6," and he can't help but demand, "Why you never come to where I stay?" Though we've already been overplaying IYRTITL for most of the year, the physical release will surely keep the wildly successful album in the loop for the foreseeable future. Look out for the CD on April 21, and catch Drake on the "Jungle" tour with Future this summer. Thoughts on Drake's latest love song?